Like every child who grew up in the 1990s, Harry Potter defined my reading habits, and was the centre of my reading world for 7 years. I was 10 or 11 years old and I remember a couple of my friends talking about it, and I remember seeing a lot of kids at school reading it. So, naturally wanting to fit in, I begged my mum to buy it for me. As there was no special occasion such as a birthday or Christmas coming up, my mum said no. I kept begging for an entire school term and finally, at the start of the school holidays when we were heading on vacation to Queensland, she finally bought the first book for me. Suddenly, I was nervous. What if I didn’t like it? What if I didn’t finish it? What if all of the hype was for nothing? I think it took me a few days to actually build up the nerve to crack it open and start reading. I remember thinking that the first page was pretty boring, thank you very much (see what I did there? ), but I kept going, and like everyone around the world, I was hooked. It took me two weeks to finish the book, keeping in mind that I was only about 11, and this was in the year 2000 during the Sydney Olympics, so most evenings were spent cheering on Australia. After I finished the first one, I HAD to have the second. I even used my very own pocket money to buy it. As a kid who only earned $3 a week, this was a big deal. I’ve always loved books, stories and reading, but before Harry Potter, I cannot actually remember being completely drawn into any fictional story or any fictional world in the same, obsessive way that I had been with Harry Potter. It was like an awakening. Stories can be this amazing? Books can actually be this engaging and wonderful? Characters can have well-defined, relatable personalities? It was an utter revelation! Like everyone else during the peak period of Harry Potter mania (BEFORE the films, for all you young ‘uns!) it became the centre of my world. I had to have all the merchandise. Unfortunately, most of it was only readily available in the States, but luckily for me, in 2001 our family vacation took us to the West Coast of the USA, and boy did I have my Harry Potter shopping list ready! Bertie Botts Every Flavour Beans? Check! Chocolate Frogs? Check! Harry Potter Trivia Board Game? Check! Harry Potter Trading Cards? Check! In 2002, Harry Potter and the Goblet of Fire was published. I had not been a part of the craze when Prisoner of Azkaban had come out, so this was my first experience at actually pre-ordering the new book! Mum wouldn’t let me do any of the subsequent midnight launches for any of the books 4 through 7 (boo! ), but I always carefully shopped around before pre-ordering to see which department store or book store was offering the best add-on incentive to pre-order with them. Usually Dymocks bookstores had the best Harry Potter swag, usually in the form of the (now vintage) metal Harry Potter bookmarks. To this day, I am still a massive fan of EVERYTHING Harry Potter. 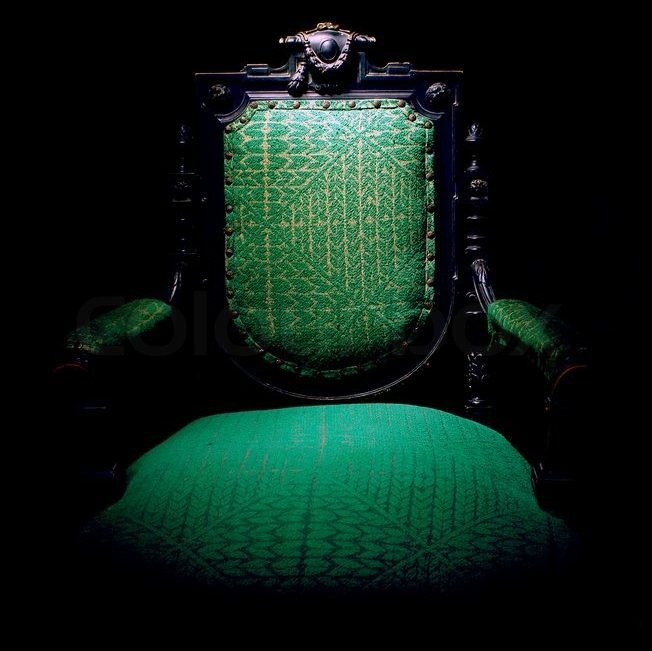 I have been done the Harry Potter studio tour in London, I saw all eight movies as they were released in the cinemas, I have visited various filming locations around the UK from the movies, I own LOTS of Harry Potter merchandise and companion guide books, I have embraced the new world of Fantastic Beasts and Where to Find Them. Working in a bookstore, on the launch day in July 2016 for Harry Potter and the Cursed Child, I did a full costume dress-up as Hermione. For me, this book has and continues to define my reading habits. It defined an entire generation. If it weren’t for J.K. Rowling and her wonderful series of books about an orphaned boy who discovers he is a wizard, I don’t know if I would have been the same person that I am today. The Time Traveler’s Wife by Audrey Niffenegger tells the story of Henry and Clare. Henry has a genetic condition that causes him to spontaneously and uncontrollably time travel. Clare is Henry’s wife who is left to worry about him and his frequent absences. Due to his time travelling, Clare first meets Henry when she is 6 years old, and he is 43. Henry, on the other hand, first meets Clare when he is 28 years old and she is 20. The book alternates between the first-person perspectives of these two characters, and due to the jumps in time (and ages) it can be, at first, a bit of an effort to follow and comprehend. While the book divided critics, I absolutely loved it. It was an original premise and made for an intriguing and unconventional love story. This is one of those books that I have re-read multiple times over the years. When I first heard it was being made into a movie, I was a bit worried because I loved the book so much, and the movies are NEVER as good as the books. The 2009 film of the same name stars Eric Bana and Rachel McAdams as Henry and Clare. Much as the book did, the film also divided critics, but I actually really enjoyed it. It was a very close adaptation of the novel, and one of the better book-to-film movies I have seen. All the major and important scenes from the book are present in the film, and very few are changed or adjusted in any way for the big screen. The only major difference between the book and film is the very final scene, and while it is different, it still does the same job that the scene in the book accomplished. Rachel McAdams and Eric Bana do a fantastic job at portraying the characters of Henry and Clare, and look eerily similar to how I pictured them in my head while reading the book. Regardless of whether you have read the book or not, you will need to have tissues handy for the end of the film. I first saw this movie with two friends, one of whom had read the book, and by the end of the film all three of us were in tears. All in all, this movie is great chick flick that has emotional depth and an engaging storyline. That being said, if you are not a fan of the book, you may not be a fan of the film. Did you know that the term “cyberspace” was first coined in the 1980s? The term “cyberspace” first appeared in the fictional works of sci-fi author William Gibson. The very first time he used the term was in a short story in 1982 called Burning Chrome, but more famously, it was used in his 1984 novel Neuromancer. I pride myself on the fact that I do read a large variety of books, by a variety of authors, in a variety of genres. However, if I were only allowed to read one book genre for the rest of my life (please don’t ever make me do this) it would be Young Adult (YA). If we were getting really particular, I would say specifically fantasy YA. I have great admiration for authors who are able to seemingly conjure everything – languages, countries, characters, history, maps, landscapes, creatures – out of nothing. 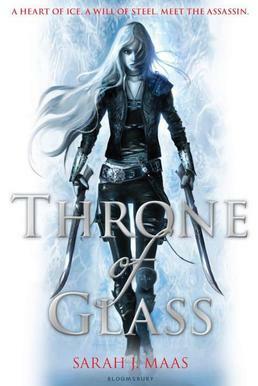 One of these fantasy YA epics is the Throne of Glass series by Sarah J. Maas. This series is one that I have only ever heard good things about. In fact, I have never actually heard anything negative about if from anyone who has read it. If that’s not a glowing commendation, then I don’t know what is. And I would be an idiot not to read it in light of this. So I decided to FINALLY pick up the first book, Throne of Glass (after which the series is named), and use my Christmas break to engross myself in the entire saga. The story centers on 18-year-old Celaena Sardothien, a highly trained and notorious assassin who, having been captured, is serving out her sentence in the salt mines of Endovier. One day, Celaena is forcibly brought before the Crown Prince, Dorian Havillard. He gives her the opportunity of a lifetime – her freedom in exchange for competing to become his father’s royal assassin. If she is successful, Celaena will serve the King for four years before finally being set free. Under the ever-watchful eye of Chaol Westfall, the Captain of the Guard, Celaena begins her training for the competition; a series of elimination tests, culminating in a final hand-to-hand combat showdown, in which a number of thieves, assassins and warriors will be battling to be crowned the King’s Champion. But there are darker, otherworldly forces at work, and one by one the other contestants start turning up dead. Fearing for her life, Celaena decides to investigate into the deaths, and soon discovers that she has a greater destiny and purpose than she could have ever possibly imagined. I absolutely devoured this book! Straight off the bat, we are thrown into the thick of it, with Celaena being escorted under guard to her audience with Prince Dorian. And it just keeps getting better from there. Not once did I feel that the story dragged on, or wasn’t keeping a good pace. There is a good mix of adrenaline inducing action, and slightly more passive character and relationship development. I also adore the character Celaena; she is my favourite thing about this book. I know YA literature is full of feisty, independent females, but I feel like Celaena takes the cake here. Yes, she is feisty and independent, but she is also smart, morally flawed (at least to start with), and incredibly sassy. Bonus, she doesn’t faint at the sight of blood or violence. Let’s face it; she’d be a pretty useless assassin if she did. I also get a kick out of a good love triangle, and it certainly looks like there is one being set up here between Celaena, Prince Dorian and Captain Westfall. Although there is not too much made of it in this novel, I have a feeling that it will certainly be brought to the fore and explored in the rest of the series. For those wondering, I am definitely #TeamChaol all the way. To be honest, I really have nothing negative to say about this book – it has everything that I need in a good YA fantasy series and then some. I guess I have converted into one of those people who will rave on and on about how wonderful this book is. Now to start the next book in the series, Crown of Midnight.